Philippe Cullet (pcullet@gmail.com) is senior visiting fellow, Centre for Policy Research, Delhi and professor of Environmental Law, SOAS University of London. Water has been a central policy issue for decades. A combination of factors has made water an even more important priority in recent years, something that will not change in the foreseeable future. The first reason why water has been a central concern for governments is that it is a source of life, making it necessary for survival. Water is also central to most human activities—from domestic use to industrial growth. At the same time, protecting water and ensuring its conservation in the long term has become increasingly important in recent years. However, while conservation has become a significant concern, it is often seen as part of an “environmental” agenda, and one that need not necessarily be addressed from within the water sector. The increasing importance of water in policy terms can be ascribed to various factors. The main problem usually highlighted is increasing water scarcity (Mekonnen and Hoekstra 2016). Decreasing per capita water availability is indeed a central concern. This is caused by a variety of factors, including changing rainfall patterns caused by climate change, drought, increasing use, and population growth. Yet, water scarcity is only one of the problems that should concern policy-makers and guide attempts to rethink water regulation. Indeed, while overall water availability will be an increasing concern in the future, people are often today faced with difficulties in accessing available water. 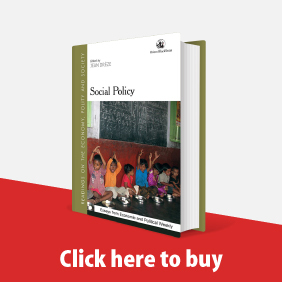 The barriers to access tend to be economic, but are in many cases social, as confirmed by cases of certain communities being denied access to drinking water (Sathish 2015). In addition, scarcity is not the only concern. Certain parts of the country are just as concerned by floods. Further, availability of drinking water is a diminishing problem, thanks to decades of state investment in hand pumps and other ways to access water, but this is counter-balanced by the fast-increasing number of water sources whose quality is not acceptable as drinking water. Overall, the water scenario has been changing fast over the past few decades. This has stretched the existing legal and institutional framework, which is in a large part based on premises that are not valid anymore, to the limit. Changes in the global climate, in water availability and distribution, in water use, and an evolving understanding of water, such as the necessity to foreground its conservation, are all factors that explain the need for change in the regulatory framework governing water. At the same time, the evolution of the legal framework itself calls for changes that are yet to be effected. These include constitutional amendments and strictures of the higher judiciary. To start with, the Supreme Court has recognised the existence of a fundamental right to water for more than two decades (Subhash Kumar v State of Bihar 1991). Yet, none of the water laws specifically acknowledge its existence, thus leaving a gap between aspirations at the broadest level and implementation at the local level. The Supreme Court has also repeatedly ruled that water must be understood as a public trust (MC Mehta v Kamal Nath 1996). This implies that there can be no appropriation of water because it is a substance far too important for all of us for any single person or institution to control. In principle, this also bars privatisation of water, though this principle has not been applied strictly by the courts (Susetha v State of Tamil Nadu 2006). 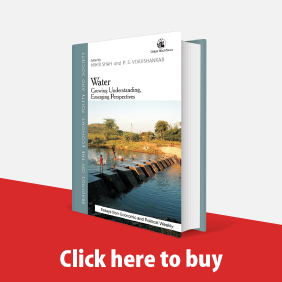 There has been no statutory recognition of the changed legal status of water yet and some water laws still assert full state ownership over water (Jammu and Kashmir Water Resources [Regulation and Management] Act, 2010, s 3). Another major reform adopted more than two decades ago was the constitutional mandate for decentralisation to local bodies. Functions given through amendments in state-level local laws have included various water-related elements (Uttar Pradesh Panchayat Raj Act, 1947, s 15). 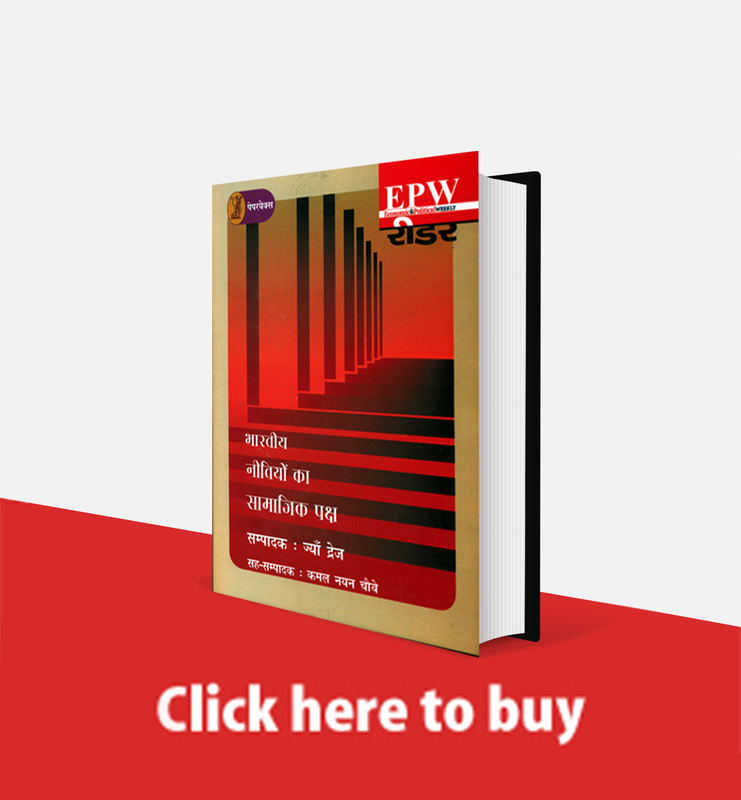 Over the past two decades, various reforms have been introduced but they do not all necessarily pull in the direction of the changes highlighted, or other factors, such as the development of environmental law. In reality, water law and policy changes have been influenced in large part by a set of principles known as “water sector reforms” that emphasise in particular the need to consider water as an economic good and to foster demand management and efficiency of use (Dublin Statement on Water and Sustainable Development 1992). Water sector reforms and the laws that have been introduced in their context give little space to the right to water, the concept of public trust, the central role of the environment in water regulation, and fostering a form of participation that is at least in part parallel but separate from the constitutionally sanctioned form of participation. At least two different strands of reforms in water policy and law can be identified. It is imperative to ensure that a modern water law reflects the principles set up at the apex level and is in consonance with higher level norms. This is one of the central tasks that the state and central governments need to address. Water law is a patchwork of many state laws adopted over decades and some central legislation. This complexity is made worse by that there are many sectors to water law and neither the law makers nor the institutions implementing them necessarily see the different sectors as part of a whole. This is nowhere better reflected than in the separate treatment of surface and groundwater, both governed by different legal principles and addressed by different institutions that act independently. Irrigation departments (surface) deny having anything to do with groundwater at a time when groundwater is the main source of irrigation in the country. The inappropriateness of existing arrangements calls for new legal and institutional arrangements. First, it has to be ensured that the overall framework within which all actors operate is linear. This involves, for instance, ensuring that the same principles apply for conservation, access, and control over surface and groundwater, something that is not the case today. This also involves operationalising constitutional reforms in letter and spirit. The decentralisation mandate thus requires not only giving out small parcels of control to local bodies, but also rethinking the role and place of all state actors from the panchayat/ward to the state and central government level. 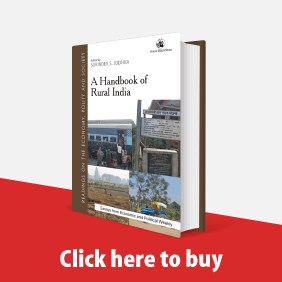 The Model Groundwater (Sustainable Management) Act, 2016 thus appropriately proposes that it is local institutions that should have the primary rights and duties in keeping with the recognition of water—in particular, groundwater—as a local resource. The central government has taken repeated law-making initiatives in the last decade to address what seems in part like an unending logjam. Among the initiatives taken, two were been given a new impetus this year. First, in a context where groundwater is the main source of water for most water users and where existing legal arrangements are entirely outdated, the Ministry of Water Resources, River Development and Ganga Rejuvenation has come up with the Model Groundwater (Sustainable Management) Act, 2016 that updates a version drafted by the Planning Commission in 2011 (Planning Commission 2011a). Second, in a context where there is no set of principles generally applicable to water in general, the ministry has come up with the Draft National Water Framework Bill, 2016 that builds on a version prepared by the Planning Commission and a version prepared earlier by the ministry (Planning Commission 2011b, Ministry of Water Resources 2013). This needs to be seen alongside the proposals from another committee of the ministry for rethinking the institutional architecture in the water sector at the union level (Committee on Restructuring 2016). The proposed groundwater legislation builds on the realisation that it is not enough to seek to regulate access to groundwater at the level of individual landowners, as has been the case until now. A much broader framework is needed that goes beyond a limited focus on use to clearly encompass conservation and consider aquifer-wide regulation and conservation. The Model Groundwater (Sustainable Management) Act, 2016 brings together this broader understanding of groundwater regulation based on an understanding widely touted for years that it is the most local source of water. This leads to the proposed framework whereby local bodies are called on to take the lead in developing groundwater security plans that are meant to bring together the demands of various users with the need for long-term conservation of water at an aquifer level and maintaining its quality. The proposed framework legislation seeks to perform the difficult task of providing an overall context for regulation of water without impeding on the legislative mandate of states. It provides a set of general principles largely derived from Supreme Court judgments and existing legislation, for instance, in the environmental field. Among its key contributions is that it provides a single set of principles for all water, whether surface or groundwater. Beyond this, it seeks to address some of the challenges that arise at the national level and require interstate coordination, such as over interstate river basin regulation and conflicts, and data sharing. It also seeks to promote a new outlook on water by emphasising the need for planning for water security, including through water security plans. The two new bills are linked to the proposed institutional reform at the union level so that the water sector can be reformed to address some of the key and mounting challenges facing it in an integrated manner. The proposed changes are momentous in a sector that has generally been averse to change and their implementation will take time and determination. In the case of groundwater, the conceptual framework informing the bill and the institutional reforms is very similar. They are both premised on the need for participation in the regulation, conservation, and use of groundwater and the unitary nature of water. The measures they propose are different because their point of entry is different. The institutional reforms envisaged are at the national level and thus concern the limited functions that a national-level institution can play in the groundwater sector. They rightly provide for a single institution, the National Water Commission (NWC), to address both surface and groundwater. The proposed functions related to groundwater, include, for instance, leading the national aquifer mapping and the groundwater management programme. This ties in very well with the proposed institutional framework introduced by the Model Groundwater (Sustainable Management) Act, 2016, which, in recognition of the local nature of groundwater, proposes an institutional framework centred on local bodies of governance. Since the necessary technical expertise is usually not available at the local level, the NWC will be able to fill in such gaps. At the same time, it is appropriate that the Model Groundwater (Sustainable Management) Act, 2016 does not directly refer to the NWC, since it only plays a subsidiary role and the lead role must be taken by state-level institutions. In the case of the framework legislation, there is a direct link between the NWC and the proposed regulatory framework since they both operate at the national level. They are both premised on the idea of the unitary nature of water and thus complement each other in terms of taking the water sector forward with their broader understanding of water and its regulation. At the same time, the lack of effective integration needs to be addressed to ensure that the NWC is effectively set up to serve the purposes and aims of the framework legislation. The NWC needs to be the institution that will implement the provisions of the framework legislation. It needs to be the institution that contributes at the national level to the realisation of the principles of water regulation found in the framework legislation. It is necessary to ensure that the NWC effectively works in coordination with other ministries and departments that have a stake in water. Additionally, establishing the NWC in the framework legislation will ensure that its mandate is clearly linked to the mandate that the union has over water without interfering with the main mandate that states have over water. The NWC should thus be conceived in legislative terms in terms of the principle of subsidiarity that recognises the primacy of local regulation of water without losing sight of the ideal that water must be regulated, conserved, and used at all levels at the same time. Such safeguards need to be written down in the legislative framework to ensure that states and the union can have a harmonious relationship on water over the next decades, which will undoubtedly witness increasing conflicts over water sharing and allocation from the local to the national level. The union government has taken noteworthy initiatives to ensure that the water sector in its legal, policy, and institutional dimensions is better able to address the multiple challenges that have arisen and will arise in the future. The first task is to ensure that some of these initiatives take concrete form soon since this is not the first time proposals for reform have been mooted. The increasing severity and multiplicity of water crises affecting the country should ensure that action will indeed be taken and the proposed initiatives implemented. Change is, however, not necessarily welcome. This is particularly visible in the water sector where vested interests have been created over long periods of time. While this may explain insufficient action over the past couple of decades, we have now reached a point at which difficult decisions must be taken before the crisis deepens further. Not doing so will lead, for instance, to a fast-increasing number of water-related conflicts, not just interstate ones widely covered in the media such as those in the Cauvery basin (Janakarajan 2016), but a multitude of conflicts at the local level over access to available water and in many cases over allocation between different sectors (Cullet et al 2015). The steps taken at the union level are extremely important in forcing all actors to acknowledge the need for change. This level has some competence in the water sector and significant influence over what happens on the ground, including through the funds it provides to states. At the same time, it is the states that have the primary constitutional mandate over water. Given the multiplicity of climatic conditions, socio-economic conditions, and differing patterns of water use in the country, it is imperative that existing constitutional arrangements are not upset. Two initiatives are necessary. As far as the groundwater model legislation is concerned, states must not only adopt legislation based on its principles but make sure it is adapted to local circumstances, something that was not been effectively done. As far as the framework legislation is concerned, the union initiative is a worthwhile attempt to stress that water must be given additional visibility at all levels. Yet, it is most important for each state to adopt framework legislation since no state has such legislation in place. The need for such developments has been felt, and some states have proposed such draft legislation (Meghalaya and Rajasthan). The union initiatives should act as a wake-up call for all states to take similar initiatives. Committee on Restructuring the CWC and CGWB (2016): “A 21st Century Institutional Architecture for India’s Water Reforms.” Cullet, Philippe, Lovleen Bhullar and Sujith Koonan (2015): “Inter-Sectoral Water Allocation and Conflicts – Perspectives from Rajasthan,” Economic and Political Weekly, 50 (34), pp 61–9. 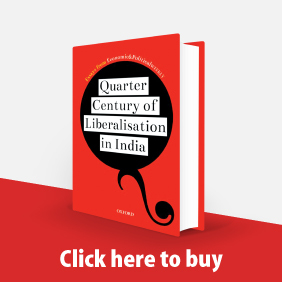 Janakarajan, S (2016): “The Cauvery Water Dispute – Need for a Rethink,” Economic and Political Weekly, 51 (41), pp 10–5. MC Mehta v Kamal Nath (1996): Supreme Court of India (1997) 1 SCC 388. Mekonnen, Mesfin M and Arjen Y Hoekstra (2016): “Four Billion People Facing Severe Water Scarcity,” Science Advances 2 (2), pp 1–6. Ministry of Water Resources (2013): National Water Framework Bill. Mrs Susetha v State of Tamil Nadu and Ors (2006): Supreme Court of India AIR 2006 SC 2893. Planning Commission (2011a): Model Bill for the Conservation, Protection and Regulation of Groundwater. Planning Commission (2011b): Draft National Water Framework Act. Sathish, G T (2015): “Pond Water Here is still ‘Untouchable,’” Hindu, 18 July. Subhash Kumar v State of Bihar (1991): Supreme Court of India AIR 1991 SC 420.